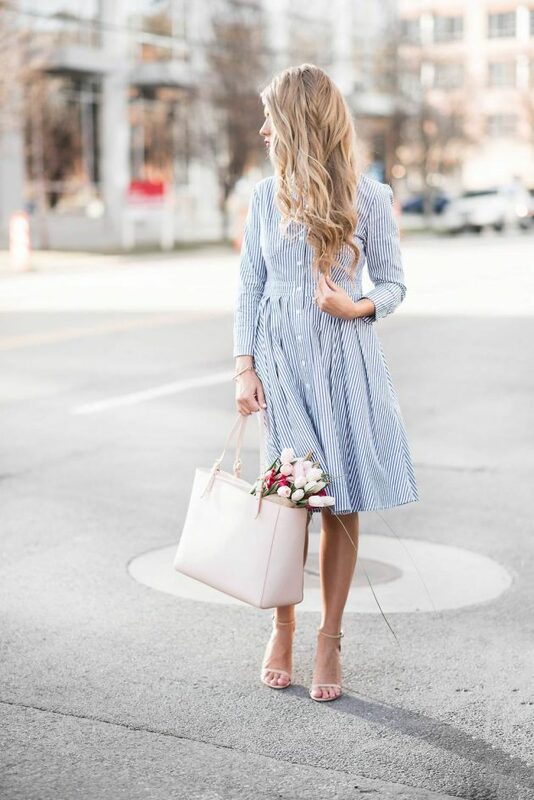 The spring time is a time to wear dresses more often for every occasion, both casual and more formal. So, even when going to the office you can wear dresses and today we have picked several such stylish dresses that you can add to your office wardrobe. So, first, let us point to you what type of dress you can wear to the office. In terms of color, there are no certain rules of what color is the best for the office, because you are allowed to wear any color you like, except some neon colors. But when it comes to the style of dress, there are certain rules you need to follow to keep your look polished. You are not allowed to wear backless dresses or some with V-necklines. 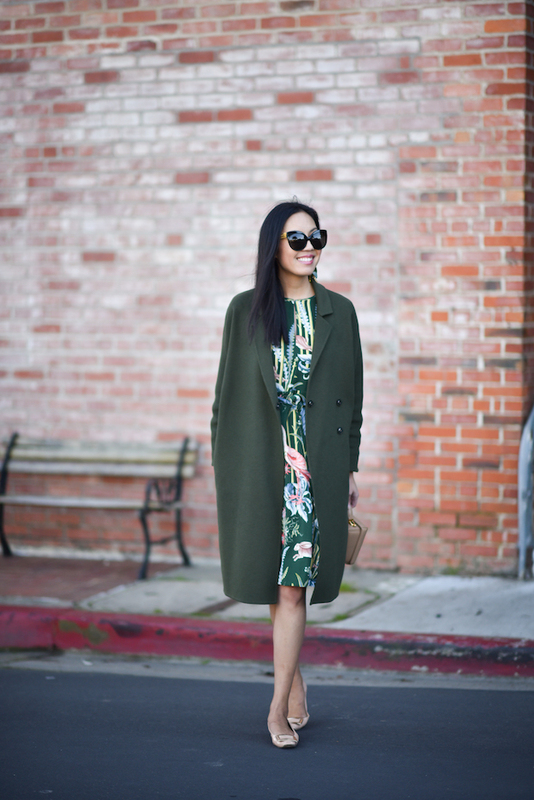 And when it comes to length, midi dresses are the best for the office. Let’s check out now the outfits that we have chosen for you today and choose which one of them you will try to copy. Enjoy! When it comes to the footwear, heels are a must-have for the office, but only the ones that are not to high, so that you can feel comfortable wearing them all day. 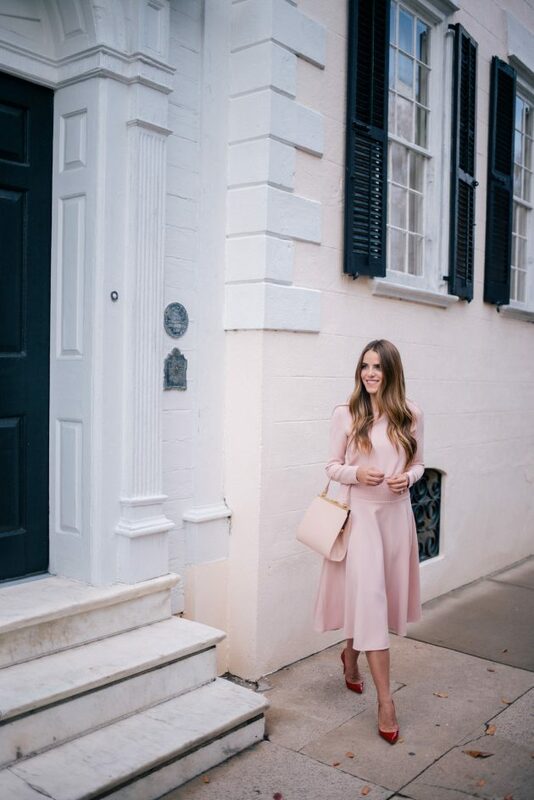 Also, besides heels, you can also wear flats for the spring time which are great alternative if you don’t feel like wearing heels to the office. Besides wearing one colored dresses, you can also wear patterned dresses in the office. Striped and floral are the trendiest patterns for the spring, so feel free to wear one such dress in the office. They can be found in so many versatile styles, so you will for sure find the right one for you. So, which one from the above stylish dresses did you like the best? Tell us in the comments and don’t forget to stay up do date with the content of Fashionsy to find many other outfit ideas for your style inspiration.